If you're like me (an alcoholic), one of the biggest chunks (if not the biggest) of your Boracay budget is allotted for booze. Forget the daytime activities like parasailing, helmet diving, and island hopping—you went to the island for the nightlife, and you don't care if you miss out on most of the day because you went home at six and woke up at 3PM. It might sound ridiculous and superficial to some, but Boracay's party scene is my idea of paradise, something unrivaled by any other places here in the Philippines—not even Manila. But seriously, unless you're a really rich expat or a spoiled fortunate local traveler, you need to spend your money wisely and know which places are worthy of checking out, which ones would deliver the maximum fun out of that insanely expensive door charge. You've got only a few days in the island and the nights are short, so you need to know which bars offer the best ambience; which are flocked by the types of crowd you like; which ones play the music you think are cool; and which places sell the cheapest alcohol. 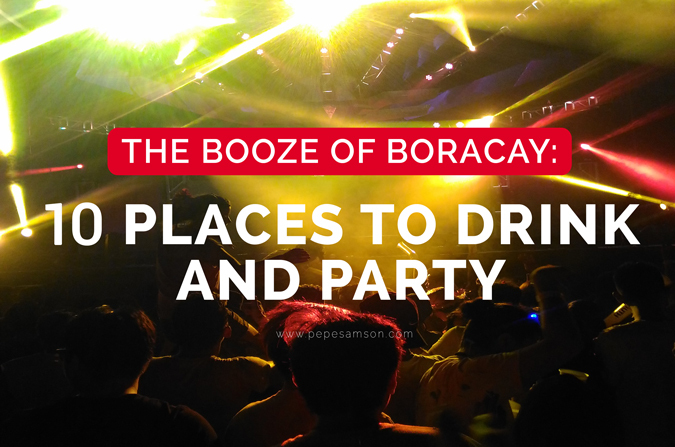 In my recent trip to Boracay, I did my homework and scouted for the best spots to drink and party. As a continuation of my previous drinking guide, I came up with this list of places to go to for sunset sessions and all-nighters, and whether you like reggae vibes or rave parties, I hope that you find one favorite that you would love to keep coming back to. Boracay’s sunsets are famous for being ever-picturesque, and where else to watch it best but in the coolest beachfront bar along White Beach! 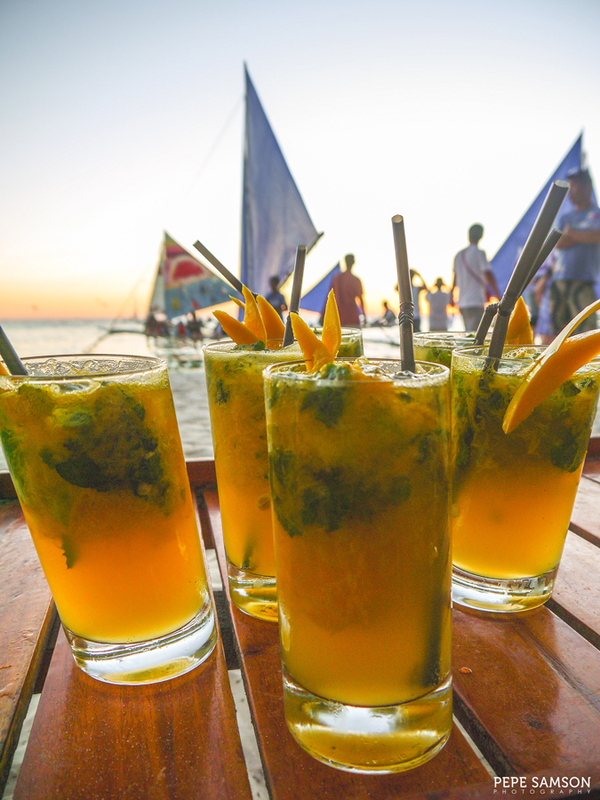 Station 4 Beach Bar is not only the headquarters of the legendary Boracay Pub Crawl; it is also the home of the best mojitos in the island, perfectly enjoyed during sundown. Grab a seat in one of their beachfront lounges directly facing the sea, and sip on your mango mojito while waiting for that picture-perfect moment. 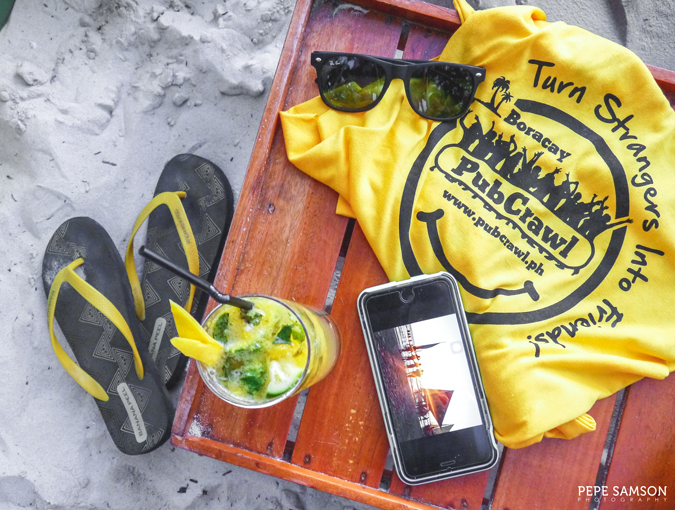 Make sure you register in the Pub Crawl and get your shirt right after for an even more amazing time (details here). 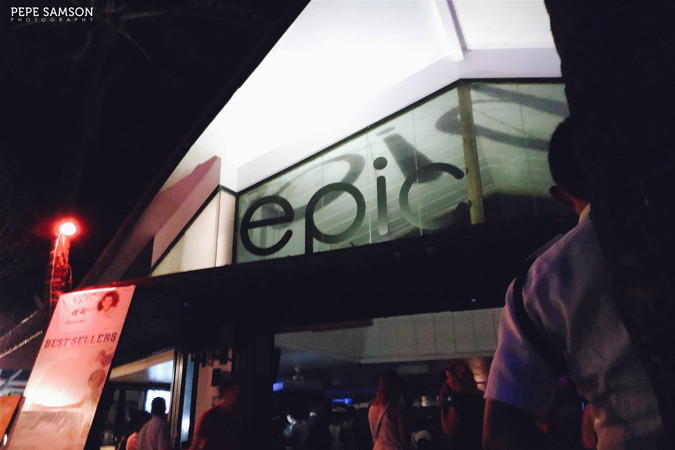 If you like partying similar to the Bonifacio Global City way, head over to Epic in Station 2—housing what is probably the best crowd among all the bars in Boracay. The open-air club attracts a mix of locals and tourists, has great DJs playing really good dance music, and sells a wide variety of libations from beers to liquors. There’s an outdoor beer pong set up, where you can challenge friends—old and new alike. Pub Crawl or not, we go to Epic to dance, drink, and meet people from all over the world. Indeed, BGC-style, except that this is 10 times better (and more epic), because it’s in Boracay. 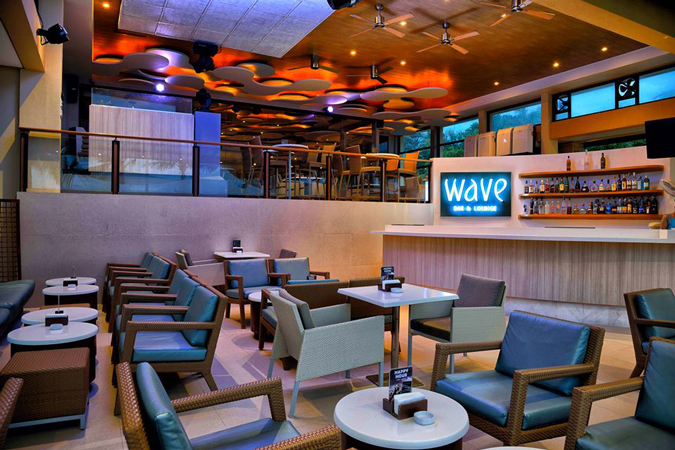 More posh than others like Epic, Wave Bar & Lounge is Henann Regency Resort’s offering to Boracay’s party lovers. Like the former, it charges a door fee, and if you want a bit of exclusivity, Wave is the way to go. The music is OK, cocktails are well-crafted, and prices are a little on the pricey side, in exchange of a nice ambience and comfortable seating. If you don’t mind paying a bit more, then I suggest checking this place out! 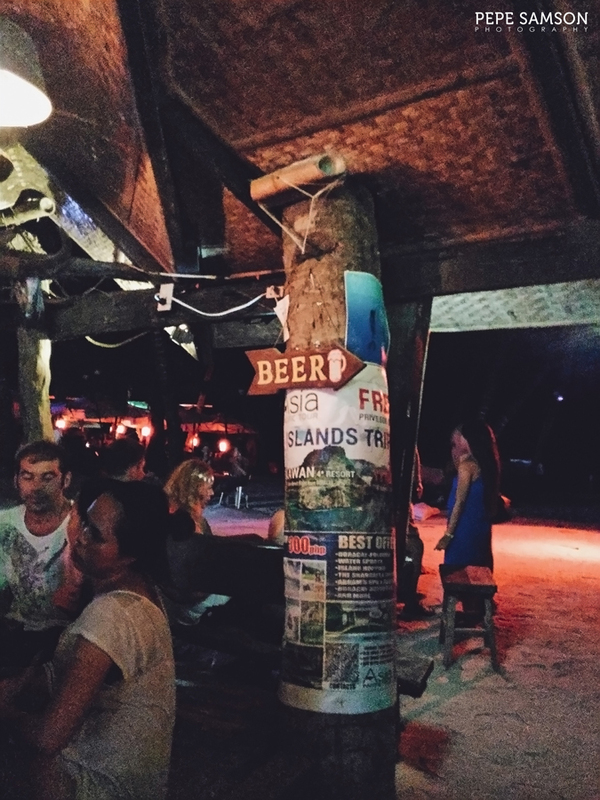 Unofficially—or maybe officially—Boracay nightlife’s last stop. 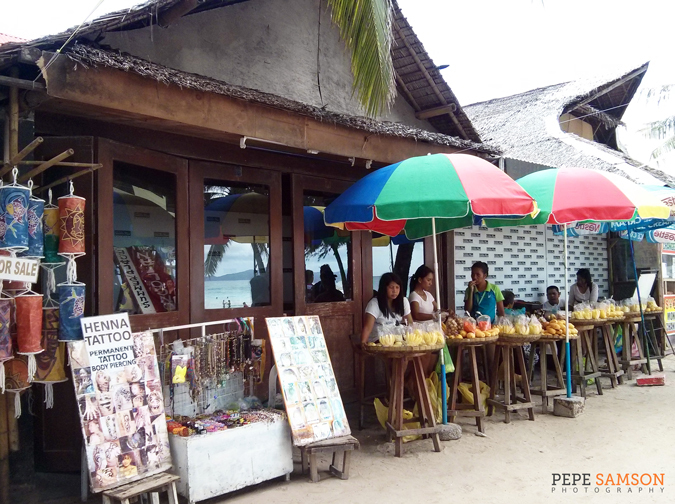 If you happen to pass by Club Summer Place in the morning, you wouldn’t even think it turns into a jumping, jam-packed bar at night; yes, it’s the place where the green mango vendors, hair "braiders", and tattoo artists are. Open as late as 5 AM, this ultimate tugsh-tugsh spot is the dance-loving party animal’s paradise. Cocktail tables, bar stools, and ledges mingle with writhing drunken bodies, deafening music, and nasty Rum Cokes. The lighting is reminiscent of a beer house, the door charge is totally random, but like a junkie hungry for your supply, you will keep coming back. I’ve only been to this place once, and I would never ever forget it. The funny thing is, there were so many moments I couldn’t remember that night, yet this didn’t stop me from having an AWESOME time. Area 51 is a spacious, dark, underground-ish party place off Bulabog highway that mimics the black moon party vibes in Thailand. What I love about it: great crowd, amazing music, the underground feel, and the fact that only a few people are courageous (and determined) enough to go check it! The beer is cheap but there’s a door charge. If you want to experience a real island party, this is it. I’m in love with Spider House. A year ago when I discovered it, the place wasn’t that popular yet; when I came back this March, there was a ridiculous queue outside. While the sunset in Boracay looks awesome down by the shore—the scene completed by passing tourists and paraws—there is something much more breathtaking when it’s viewed from the top—in Spider House’s case, from its wooden decks overlooking Diniwid Beach. The sun casts a hypnotizing orange glow all over the sea, which turns to purplish as the night comes nearer. There’s a floating raft nearby where swimmers play or relax, and far beyond, huge rocks serving as a beautiful backdrop. This place is my perfect spot for a long lazy afternoon over beers, delicious pizzas, cocktails, people-watching, and basically doing nothing. 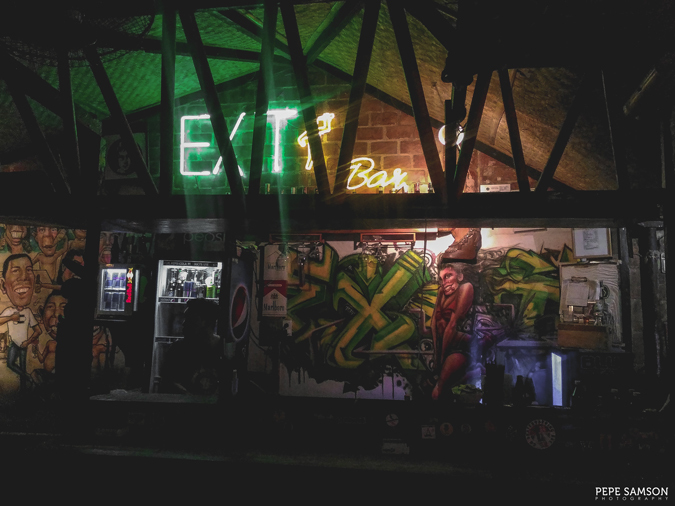 Home to what is perhaps the cheapest beer sold from the beachfront bars in Boracay (Pale Pilsen at PhP50), Exit Bar is the ideal place to fuel up before partying somewhere else. This nipa hut-like bar (built on the sand—no need for flooring!) is the place where people of all types commune: foreigners, guys in dreadlocks, tattooed bodies, South Koreans, Pinoys. Everyone who is contented sitting with a bottle of Red Horse or Pale Pilsen, that is. The DJs play mostly reggae and Latin music (yay! ), so the vibe is relaxed yet a bit energetic (does that make sense). Arrive early as it becomes packed fast. Bring your friends here for the pre-party, but really—it’s hard not to love its ambience, so don’t blame me if you end up staying. I’ve been to Insomnia only twice (just this March, both with Pub Crawl) and I must say that it has the best music for dancing and partying. Heavy on EDM, not House or other similar genres that I find more suitable for chilling and having conversations (read: flirting). Insomnia is the perfect place to just groove—maybe even dance on your own—get lost in the beats while waving a bottle of your favorite beer. Or doing crazy stuff with your friends, like forming circles and inviting everyone else to a showdown, LOL! Sorry but at age 28, I haven’t outgrown this kind of stuff. Sue me. 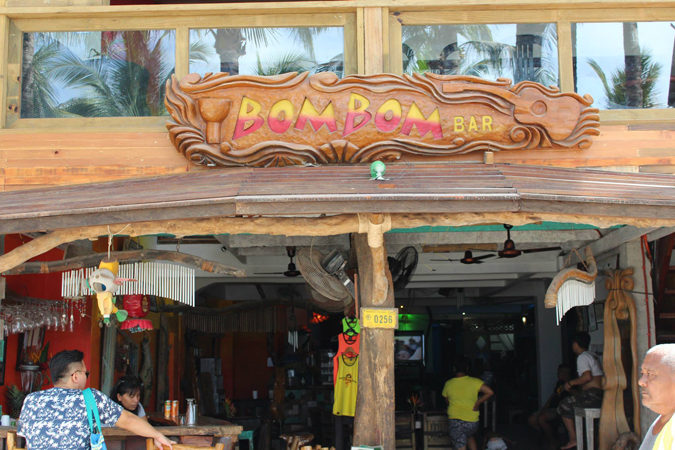 Another alternative for afternoon/early evening sessions, Bom Bom Bar is another good choice for cheap beer and casual snacks while waiting for the sunset. 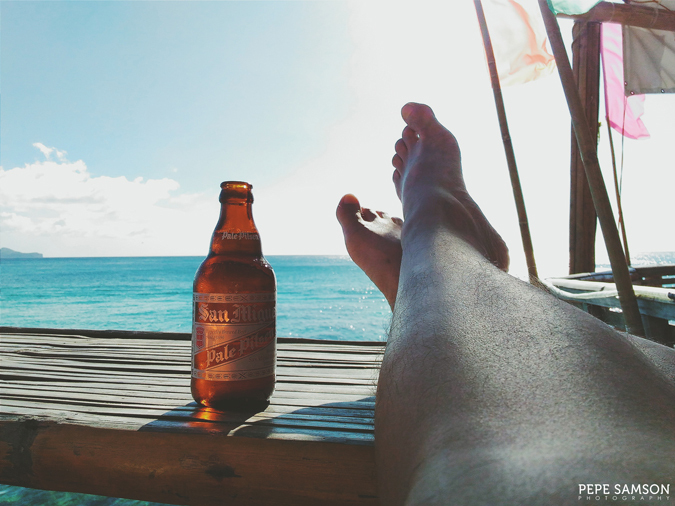 With its sun-loungers set up along Station 2’s beachfront and its cheap Happy Hour offering (two local beers at PhP70), Bom Bom is definitely a comfy and ideal spot—offering quick access to the sea as well, in case you want to swim in between bottles of Pale Pilsen. At night, a live band plays acoustic and reggae music, perfect for laid-back moods in case you don’t want a rave party. Club Paraw in Station 1 may be a little too far away from the party central, but believe me, it’s worth the long walk. 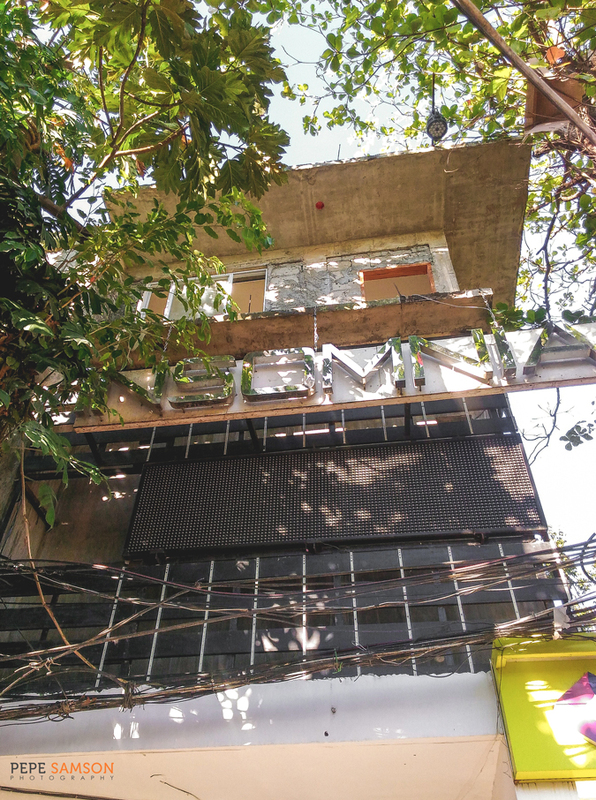 Recently renovated, the club boasts of a “native” feel—wooden supports, rugged tables, and thatched roofs—but inside the sandy space is a full-blast party with great music and a mid-sized crowd. It’s not that popular among partygoers who tend to explore only Station 2 (and first few meters of Station 1), which is good or bad—depending on your preference on crowd size (I personally like enough space for me to dance). I loved seating by the bar in Club Paraw, ordering beer one after the other. How many of these places do you know? Which one is your favorite?